Being a big fan of Brussels sprouts, I couldn't wait to try the Brussel Bytes. There are two flavors to choose from, each containing organic coconut and cashews (thus not nut-free). The Chili Pumpkin Seed is oil-free with the snappy flavor of chipotle, cumin, paprika, garlic and onion - it's a fiesta in every bite! This is my go-to when I'm looking for a snack to tide me over in between meals. The Tamarind Apple Crunch is reminiscent of a honey mustard snack, with slightly sweet apples, mustard, olive oil, garlic and onion - these ingredients really compliment the Brussel sprout flavor. Who would have thought that nutrient dense parsnips would make a delicious, crunchy snack? Not me, until I discovered Snip Chips. The Cheezy Herb Truffle variety immediately won my heart due to the intoxicating flavor - you really can't go wrong with cheese-like nutritional yeast and aromatic, mushroomy truffle oil, and when you add in bell pepper, basil, rosemary, lemon and coconut nectar your tongue will do backflips. Then there's the Chipotle Lime Cilantro, which have a smoky flavor from the paprika/chipotle combo plus a fresh, zesty punch from lime and cilantro. And if you're a fan of munching on pickles, the Dill Pickle chips are sure to hit the spot with tart apple cider vinegar, lemon, garlic and chipotle. Each are made with organic coconuts, almond flour, unfiltered maple syrup, and coconut oil, followed by simple yet rich flavors. The Brownie packs a powerful cacao taste, which is sure to combat any chocolate craving and the fiber content will satiate much more than a bar. When you're craving pastrys, skip the bakeshop and grab a bag of Lemon Pie for a nutritious twist on the classic tart dessert. And if chocolate isn't your thing (today or anytime), pop in a Vanilla Maple coco-roon to hit the sweet spot. Any variety of Coco-Roons can be enjoyed for breakfast too, as they're much healthier than the average cereal, pancake or muffin! The Wonderfully Raw line allows snack lovers to choose healthy options without compromising on flavor. They truly live up to their tag line: "naturally packed with goodness...that's it!" You can turn over a package and recognize each ingredient while still being excited to taste the combinations. These products a lovely option in between meals and in place of chips or dessert, perfect for road trips and flights, and make lovely gifts. And if you ever have a chance to meet the people behind the magic you'll understand why they look and taste so good - they're made with love. You can find Wonderfully Raw in many markets around the United States (including Whole Foods) - just use their handy store locator. They're also available for purchase on Amazon - click here for the Chips and here for the Coco-Roons. 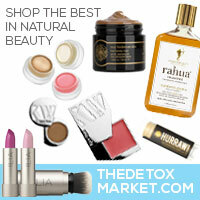 Have you tried Wonderfully Raw products yet? If so, what are your favorite flavors? If not, which are you most excited to experience? Disclosure: though this article was sponsored by Wonderfully Raw, my opinions are my own and are not influenced by this partnership as I have been a fan for quite some time. 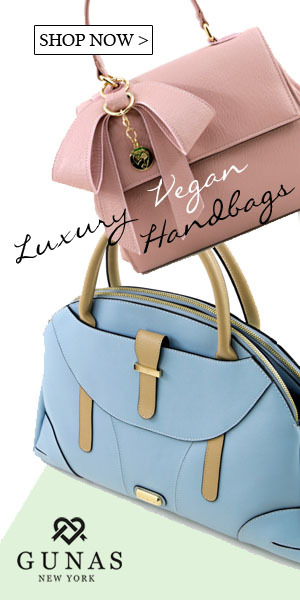 Financial compensation makes it possible for fresh content to be posted regularly on Eco-Vegan Gal. I'm thankful for the opportunity to write about these delicious products and I hope you found this review helpful!